If your're looking for a fun and thrilling place for you and your family to visit, or would like to throw a party for your kids, friends etc than Family Paintball in Homestead is a great choice. Located in the heart of Homestead, Family Paintball offers fun paintball packages at affordable prices. When visiting Family Paintball your family can engage in and choose from a large variety of activities such as the classic basic paintball, woods ball/recball, speedball, scenario paintball, tournament or tourneyball, pump play, and a host of other interesting games and activities. 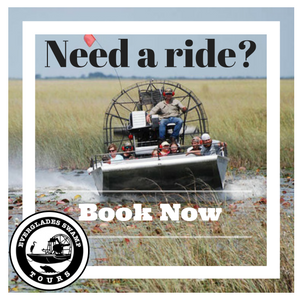 Reservations and booking can be made online or by calling. This is a great place for children and adults to engage in a bundle of fun. Players of all skill levels and ages are welcome. In addition, Family Paintball allows families to bring their own food and cake to the park. Those who would like to just come and watch are accomodated in a nice shaded seating area. Party packages are available for groups with between 2 to 9 Players and groups of 40 or more. Family Paintball has special rates which can be honored Monday through Friday only. They will not honor the special rate on Saturday or Sunday. A waiver form is available online to pre-register or simply do so upon arrival. For food and drinks the facility sells bottled water, soft drinks and other refreshments. Nearby pizza places deliver to Family Paintball. Another cool feature is that this facility will allow patrons to bring their own barbecue grill and set it up as directed by Family Paintball's employees if there is room. In case you are trying to save a little money or have dietary restrictions, bringing your own food is allow, except for alcoholic beverages. There are 3 different fields to play on. Check out our YouTube video of one of the larger playing areas here. Miami Exotic Auto Racing, in Miami Dade county, will let you get behind the wheel of 2 of your dream vehicles. You will get to choose 2 cars to drive: a Ferrari, an Audi or a Lamborghini, and then you will race 6 laps around a professional race course at top speed! Have an older child with a special birthday or maybe your spouse? What better way to spice things up than a thrill in an exotic car! What are the main highlights of Miami exotic auto racing? What can you expect in Miami exotic auto racing? Your racing experience will take place at the Palm Beach International Raceway or the Homestead-Miami Speedway. When you arrive, you will meet your professional racing instructor and select 2 cars that you want to drive. After that, you will receive a thirty minute safety orientation, and then a 2 lap test ride in a demonstration car to familiarize yourself with the track. Then it will be your turn to jump in the driver’s seat of your first car and start the engine. As you drive along the racecourse at the highest speed possible, you will feel your blood pumping – there’re are no speed limits, you can drive as slow or as high as you want. After your first 3 laps, you will need to jump into the second car for another 3 laps. You don’t need to worry because a professional racing instructor will be with you and will offer you encouragement throughout your ride. After your ride, you can rest in the air-conditioned Sky Box as you watch other drivers hit the track. Relax with some refreshments and snacks as you witness other drivers race around the course. Driving experiences begin at $249 for three 2+ mile long laps around the speedway. Participants under the instructors direction are allowed to push these amazing cars to their limits and no restrictions are given on how fast the cars can be driven. Please check the website for track dates, current pricing, times, and the available exotic cars for the specified track date. If you're looking for a unique family adventure and the adrenaline rush of a lifetime, then look no further than SkyDive Miami. Located in Homestead, Florida, within Miami Dade county, SkyDive Miami has been in business since 1998 and operates from the Homestead General Airport. Ranging from beginner to expert levels, Sky Dive Miami will have you covered when it comes to various sky dive opportunities. Courtesy of trained instructors and jump masters, utilizing the latest state of the art equipment, your family can take flight via the tandem dive opportunity with the guidance of trained and certified professionals. If you're interested in more than just a single diving experience, Sky Dive also offers student training programs for those who wish to learn the art of sky diving while sharing multiple dives with both friends and family. When it comes to receiving the full experience of this unique opportunity, the student training program is the ultimate thrill ride. In respect to the height of the matter, all dives are from an incredible 13,500 feet and provide fantastic views of both the Florida Keys and Miami Beach. Additionally, both photo and video options are available for your dive(s) so your memories will forever be documented in the style of your choosing. The only thing more amazing than a first class skydive is visual proof of your amazing adventure. Documentation of your sky diving experience will make for quite the ultimate conversational piece for years to come. Whether you're a tourist, new to south Florida, or a resident of many years, Sky Dive Miami is an attraction that will never go out of style because an ultimate adrenaline rush lives forever. If your family is interested in taking advantage of potentially a once in a lifetime experience, then be sure to contact Sky Dive Miami and inquire about their services.